Maria Basile is a founding member and co-artistic director for sjDANCEco. After earning her BS in Dance from the University of Oregon, she relocated to the San Francisco Bay Area. She has danced with companies such as ODC/SF and Anne Bluethenthal & Dancers and has also performed independently with choreographers Lisa Burnett, Betsy Kagen, Bih-Tau Sung, and Cathleen McCarthy. Basile is a Balance instructor (posture/ structural integration), certified by the Balance Center in Palo Alto. Since 1996, she has been a prominent teacher of ballroom, modern, and Latin dance at San José State University, De Anza College, and Buddy Party Dance Studio in Cupertino. Basile’s love of dance is rooted in her outstanding gymnastics background. As a member of the 1987 USA Gymnastics Team, Basile competed in The XXIII Rhythmic Gymnastics World Championships in Varna, Bulgaria and in The Konica Cup, the first U.S. international rhythmic gymnastics competition, in Princeton, New Jersey. Following these performances, Basile expanded her work, training top regional athletes at the U.S. Olympic Training Centers and coaches from the Gymnastics Federation of Guatemala. Basile’s greatest passion in life is designing choreography that expresses each dancer’s unique beauty. Recent choreographic creations include Fire and Ice (2001); Business of Love, a West Coast Swing duet with professional Richard Kear (2001); The Upward Spiral (2002); Sea Diamonds (2003); The Elements (2004); and The Little Nothings (2005). While most of Basile’s performance work is done in a theatrical setting, her love of dance has expanded into liturgical services at various churches in the Bay Area, including Stanford Memorial Church, First United Methodist Church, and Transfiguration Episcopal Church. A highlight of Basile’s career took place during the 1997-1998 dance season, when she performed in The Limón Company’s critically acclaimed 50th Anniversary World Tour. Prior to the tour, Basile danced with The Limon West Dance Project of San José, California (1994 – 1998), under Gary Masters’ direction. Another highlight was her three-season involvement with the Cabrillo Music Festival, where she choreographed Philip Glass’s The Photographer (200 I), Aaron Copland’s The Tender Land (2000) and performed in the festival’s production of Leonard Bernstein’s Mass (1999). In 2005, she choreographed for San José Opera’s production of Carmen and was commissioned to choreograph Les Petit Riens, for the Midsummer Mozart Festival, under the direction of George Cleve. 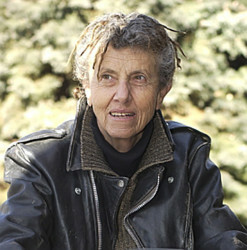 Diana Pumpelly Bates is a sculptor and public artist working in bronze, iron, and steel. Her work has been included in exhibitions at the Oakland Museum, Oakland, CA; The Triton Museum, Santa Clara, CA; the Oliver Art Center at California College of Arts and Crafts; the National Civil Rights Museum, Memphis, Tennessee; and John Jay College, New York. She has completed several public art commissions for transportation agencies in the region, and a number of Public Art Programs in Northern California. She also exhibits in galleries and has served on numerous consultant teams, advisory committees, and review panels. Leslee Becker teaches creative writing and literature at Colorado State University and has published a story collection, The Sincere Café. Her stories have appeared in Epoch, The Atlantic, Ploughshares, Iowa Review, New Letters, Nimrod, The Gettysburg Review, New England Review, and elsewhere. 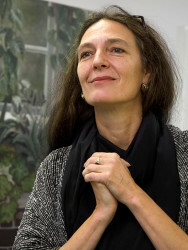 She has won several prizes and grants, including the Katherine Anne Porter Fiction Prize, the Pirate’s Alley Faulkner Society Prize, the Mid-List Press Award for Short Fiction, the Ludwig Vogelstein Award, and the Pennock Distinguished Service Award. You know the old saying, “Jack of all trades” that was often applied to men in times past? Perhaps I could be best described as a “Jill of all writing.” As far back as I remember I’ve been involved in writing, one way or another; in fact, many different ways. I started a neighborhood newspaper before I started kindergarten. Editor, I sat at my small child’s table with my younger sister opposite. Together we cut out and pasted a colorful variety of decorations (similar to child’s stickers available today) on a few sheets of paper. Then we wrote our “news” with care in our best penmanship around the illustrations. A few copies made that way wore out our creative spurts, and then we ran outdoors to knock on doors and sell to the neighbors. As soon as we sold two copies for a nickel each, distribution shut down and we raced to the corner grocery to buy 5 cent ice cream bars. (Yes, they were 5 cents then.) Growing up, I was always writing something, mostly poems and short stories that I collected over the years in a box I saved one Christmas. I picked up a Mrs. in college, and our family started soon after. I’d had meningitis as a child, and it left me with a lot of hearing loss. So I got in the habit of sitting beside the doorway of the babies’ rooms until they went to sleep, in case they cried instead. Sitting there I started writing again, with fervor. A variety of publishing followed as the children grew up. I became poet, book reviewer, columnist, feature writer, genealogist, and author. 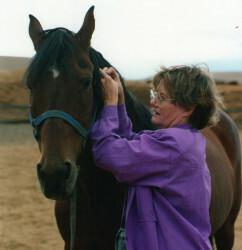 I cared for two horses, my feisty Moonrise whose antics demanded my full attention, and Beau, a courtly gentleman, in my care while my daughter was in college. My horses were so tolerant of my shortcomings I was soon writing at the stables too, sitting with them, sharing their content while they munched hay after their workouts. I had dogs to cuddle and warm my heart in quiet moments. The last two, Basset Hounds Scarlett and Buddy, were very special to me, warming my mind to create more story images. For me, life is a black and white sketch waiting for me to color in myself with my writing. Brian Belet lives in Campbell, California (USA), with his partner and wife Marianne Bickett. He performs with the ensemble SoundProof using Kyma, viola, and bass. 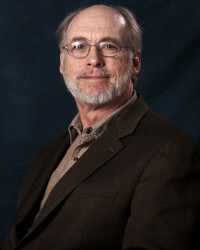 His music is recorded on the Centaur, Capstone, IMG Media, Innova, Frog Peak Music, and the University of Illinois CD labels; with research published in Contemporary Music Review, Organised Sound, Perspectives of New Music, and Proceedings of the International Computer Music Conference. To finance this real world Dr. Belet works as Professor of Music at San Jose State University (SJSU). Some more formal facts, for those who want more data: Belet earned the degree of Doctor of Musical Arts in Composition from the University of Illinois at Urbana-Champaign in 1990, with an emphasis on algorithmic composition and software synthesis, a published dissertation on the music of James Tenney, with a minor emphasis on the history of tunings and temperaments. His compositions, for acoustic and electro-acoustic media, have been widely performed in the United States, Canada, Europe, South America, and Asia (including several ICMC, SEAMUS, EMM, and SCI conferences). 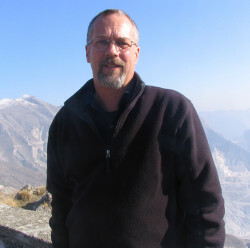 Prior to joining the SJSU faculty in 1994, Dr. Belet held faculty positions at Clark University (Massachusetts, 1990-94), Black Hills State University (South Dakota, 1987-89), and Arizona State University (1985-86). 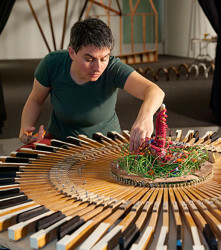 “Terry Berlier makes conceptual art of unusual intelligence, humor and sensitivity to the impact of materials.”—Kenneth Baker, San Francisco Chronicle Terry Berlier is an interdisciplinary artist who works primarily with sculpture and expanded media.Her work is often kinetic, interactive and/or sound based and focuses on everyday objects, the environment, ideas of nonplace/place and queer practice. Berlier has exhibited in solo and group shows both nationally and internationally including the Contemporary Jewish Museum of San Francisco, Catherine Clark Gallery, San Jose Institute of Contemporary Art, Thomas Welton Stanford Art Gallery at Stanford University, Montalvo Arts Center in Saratoga CA, Weston Art Gallery in Cincinnati, OH, Babel Gallery in Norway, Richard L. Nelson Gallery in Davis CA, Center for Contemporary Art in Sacramento, Kala Art Institute Gallery in Berkeley, San Francisco Arts Commission Gallery, Natural Balance in Girona Spain and FemArt Mostra D’Art De Dones in Barcelona Spain. 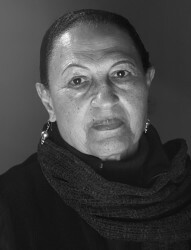 She has received numerous residencies and grants including the Center for Cultural Innovation Grant, SECA nominee, Society for the Encouragement of Contemporary Art, San Francisco Museum of Modern Art, San Francisco, CA, the Zellerbach Foundation Berkeley, Artist in Residence, Montalvo Arts Center, Arts Council Silicon Valley Artist Fellowship, Michelle R. Clayman Institute for Gender Research Fellow at Stanford University, Recology San Francisco, Hungarian Multicultural Center in Budapest Hungary, Exploratorium: Museum of Science, Art and Human Perception in San Francisco, California Council for Humanities California Stories Fund and the Millay Colony for Artists. Her work has been reviewed in the BBC News Magazine, San Francisco Chronicle and in the book ‘Seeing Gertrude Stein’ published by University of California Press. Her work is in several collections including the Progressive Corporation in Cleveland Ohio, Kala Art Institute in Berkeley California and Bildwechsel Archive in Berlin Germany. She received a Masters in Fine Arts in Studio Art from University of California, Davis and a Bachelors of Fine Arts from Miami University in Oxford, Ohio. Terry Berlier is an Associate Professor and Director of the Sculpture Lab in the Department of Art and Art History at Stanford University. Jimmy Biala is a music educator and performer, with a strong passion for the style of Brazilian music known as escola de samba. 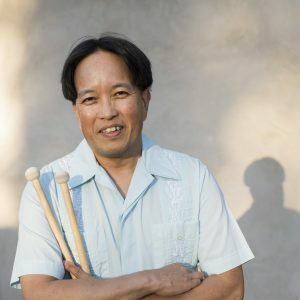 Jimmy teaches Brazilian percussion music programs to youth and adult students in the South Bay Area, is a faculty member of the California Brazil Camp and San Jose Jazz Summer Education Camp, and performs regularly with the James Robinson Ensemble and Sound and Social Justice Collective. In 1997, Jimmy received an award from DownBeat Magazine for excellence in jazz recording and performance; he was the recipient of a 2002 Artist in Communities Grant from the California Arts Council, and a Meet the Composer commission grant in 2004. Bielefeldt, a native of Japan, has a bachelor’s degree in economics, but came to a career in costume design when she was taking classes at Stanford University, where her husband was teaching. Out of curiosity, she took a costume design course at Stanford that piqued her interest. After Stanford, she did a year’s internship at San Francisco’s American Conservatory Theatre. “Then after that, it just happened my supervisor at Stanford–he was the one who really started my career and gave my name to TheatreWorks,” Bielefeldt says. TheatreWorks’ artistic director Robert Kelley gave her her first job costuming a show. Among the many productions she has designed that she counts as favorites are shows that represent a diverse array of times and places, from the 19th-century Japan of Stephen Sondheim’s musical Pacific Overtures to the 18th-century France of Triumph of Love: the musical; contemporary India (Baby Taj); 1930s New York City (The Learned Ladies of Park Avenue); 19th-century Scandinavia (Miss Julie) and another play based on an Austen novel, Emma: A musical romance. As Associate Provost for Diversity and Inclusion, Aldo Billingslea heads Santa Clara University’s Office for Diversity and Inclusion. 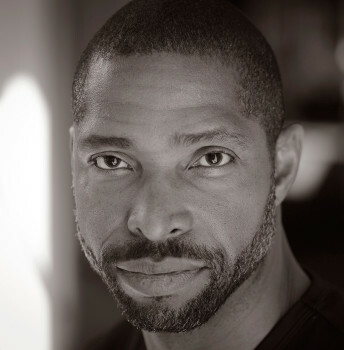 He also is Professor of Acting and Performance Studies in the Department of Theatre and Dance. Professor Billingslea joined Santa Clara University as a visiting guest lecturer in 1996 and became a tenured member of the faculty in 2005. He served as Chair of the Department of Theatre and Dance for three years and Vice Chair of the University’s Athletics Advisory Board. Professor Billingslea is a nationally known actor who also serves in professional leadership roles and provides service to the theatre community in a number of west-coast locations. He received bachelor of arts and master of arts degrees from Austin College in Sherman, Texas, and a master of fine arts degree from Southern Methodist University. As Associate Provost, his primary focus is to work closely with members of the University community to enhance the recruitment, retention and success of faculty from underrepresented groups. He collaborates with other University offices in promoting a student climate of inclusive excellence through curricular, co-curricular and extracurricular programs, and he coordinates with the Office of Enrollment Management, Multicultural Learning, Affirmative Action and Human Resources in efforts to recruit a more diverse student body and staff. He works closely with the Senior Vice Provost for Academic Affairs and reports directly to the Provost/Vice President for Academic Affairs. Jaap Bongers is a practicing artist who has had many solo exhibitions in the United States, Holland, Sweden, and Denmark. He has authored a number of publications and has received many public commissions for his art. Born in Holland, he was educated both there and in Italy. He attended the Stads Academy of Fine Arts in Holland. This five-year, full-time (8:30 a.m. to 5 p.m.) program provided rigorous training in a broad spectrum of arts. Following this training, Bongers studied for a year at the Acadamia di belle Arti di Brera in Italy. Immediately thereafter he was accepted as a student at the Jan van Eyck Academy of Fine Arts in Holland. This prestigious two year program accepts only eight students out of 400 applicants per year. Following that experience, Bongers was given a grant by the Dutch government to study traditional tribal art and customs, as well as architecture, in Zaire. Three years later he returned to Zaire to study and live with a Pygmy tribe. A visual artist who paints and works in ink on paper, Natalya Burd was born in Bishkek, Kirghizia, then a republic of the USSR. After graduation with distinction from the Kirghiz State College of Art and later-Stroganov Moscow State Academy of Arts and Industry (Monumental Painting and Decorative and Applied Glass), Natalya immigrated to the U.S. in 1996. 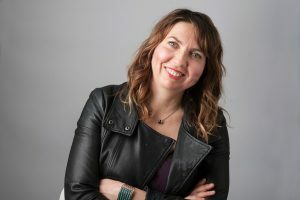 She made her way to the Pacific Northwest where she earned a BFA from Oregon State University, followed by an MFA from the University of Washington in 1999. She has had one and two-person exhibitions at Jack Fischer Gallery in San Francisco; at Sarah Spergeon Gallery at Central Washington University, Ellensburg, WA; at Art Object Gallery in San Jose, CA; and at Wiseman Gallery in Grants Pass, OR. Burd has participated in numerous group shows in California, Oregon and Washington. She is represented by Jack Fischer Gallery in San Francisco.